The December issue of Chirp is all about FAMILY FUN. Check out the Look & Learn section to meet four amazing animal families. The photos and information on these pages were taken from a book that I helped make called Animal Babies with Their Families. This book was so fun to make because it’s filled with all kinds of cute animal photos! It was so hard to pick which ones to print in the book because there were hundreds of adorable photos to choose from. We hope you like this book and we hope you like the December issue of Chirp magazine! 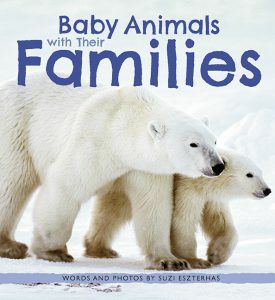 Baby Animals with Their Families is available to purchase here or here.